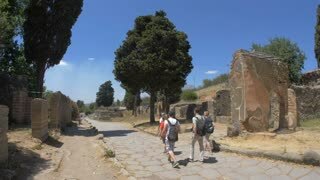 Search Results for "website tour"
POMPEII, ITALY - 10 JULY 2017: Tour group on the streets of ancient Pompeii. beautiful old building in the night-time. on the road near the house go with the included car headlights. great big clock tower.